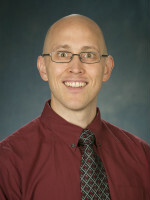 Drew Hanks is an assistant professor of Consumer Sciences in the Department of Human Sciences. He studies the ways in which the economic and contextual environments drive health-related behaviors and affect education decisions and associated market outcomes. Specifically, Dr. Hanks focuses on research related to federal nutrition assistance policies and post-secondary educational policies. Dr. Hanks publishes his research in high-quality academic journals such as American Psychologist, American Journal of Agricultural Economics, Pediatrics, Obesity, and Public Library of Science-One. His work has also been featured on NPR, New York Times, Inside Higher Ed, The Atlantic, ABC News, and others. Before joining the faculty in 2014, Dr. Hanks completed a three-year postdoctoral research position as the research director for the Cornell Center for Behavioral Economics in Child Nutrition Programs and lead analyst at the Cornell University Food and Brand Lab. He completed his PhD in Economics and MS in Statistics in 2011 at Washington State University in Pullman, WA. Dr. Hanks is interested in better understanding the ways in which economic and contextual environments drive health-related behaviors and affect education decisions and associated market outcomes. His overarching objective is to use economic theories and methods to study past public policies, understand and evaluate current policy, and inform the design of future policy. In the areas of health economics and health behaviors, he uses applied economics methods to study ways in which federal nutrition policy affects food selection and intake. He also use the framework of behavioral economics to study whether and how nudges affect food decisions. To support his research in this area, he has received $104,953. In the area of labor economics, Dr. Hanks currently focus on graduate education and associated market outcomes such as salary, salary growth, publications, grant success, and job satisfaction. His current research focuses on the career outcomes for PhD recipients who choose to pursue interdisciplinary research programs. To support his research in this area, he has received $477,224 as co-PI from the National Science Foundation. He will continue to pursue funding in both research areas. A distinguishing characteristic of Dr. Hanks’ approach is to seek out data researchers have either ignored or not fully exploited. He currently has transaction level data from a grocery chain in Ohio to study the impact the transition to Electronic Benefits Transfers has on shopping behavior of participants in the Special Supplemental Nutrition Program for Women, Infants, and Children. He is also currently working with the Ohio Department of Health and Census Bureau to acquire WIC administrative data and link these data to Census Bureau surveys such as the American Community Survey, Current Population Survey, and Survey of Income and Program Participation. Lastly, Dr. Hanks is currently working with the National Science Foundation, Census Bureau, and Institute for Research on Innovation & Science to link components of various data products, housed separately by each institution, to generate a rich set of data to continue his work with doctorate degree holders. Who are Interdisciplinary STEM Doctoral Graduates? Exploring and Assessing Antecedents and Economic Consequences. of Behavioral Interventions in School Cafeterias. University of Alabama, Department of Consumer Sciences Research seminar. Agricultural and Applied Economic Association Annual Conference, Research presentation. Midwestern University, College of Osteopathic Medicine Research seminar, Glendale, AZ. American Economic Association Annual Conference, Poster presentation. American Economic Association Annual Conference, Research presentation. NBER Summer Institute for Health Economics, Research presentation. Kniffin, Kevin M. and Andrew S. Hanks. “The Trade-offs of Teamwork Among STEM Doctoral Graduates.” American Psychologist. 2018; 72(4): 420-432.DOI: http://dx.doi.org/10.1037/amp0000288. Gabrielyan, Gnel, Kathryn I. Hoy, Andrew S. Hanks, David R. Just, and Brian Wansink. “Who’s Adopting the Smarter Lunchroom Approach? Individual Characteristics of Innovative Food Service Directors.” Evaluation and Program Planning. 2017; 60: 72-80. DOI: http://dx.doi.org/10.1016/j.evalprogplan.2016.08.023. Kniffin, Kevin M. and Andrew S. Hanks. “Antecedents and Near-Term Consequences for Interdisciplinary Dissertators.” Scientometrics. 2017; 111: 1225-1250. Laroche, Helena H., Kate Anderson, Christine Hradek, Andrew S. Hanks, Katherine I. Hoy, David R. Just, and Brian Wansink. “Healthy Concessions: High School Student’s Responses to Healthy Concession Stand Changes.” Journal of School Health. 2017; 87(2): 98-105. DOI: http://dx.doi.org/10.1111/josh.12472. Accepted for publication June 2016. Rose, Angela M., Ilana Nurko., Julie A. Kennel, Andrew S. Hanks, and Carolyn Gunther. “Short-Term Campus-Based Dairy Campaign is Effective in Promoting Awareness of Importance of Calcium Intake in College Students.” Accepted for publication at Forum for Family and Consumer Issues. 2017. Rose, Angela M., Rachel A. Williams, Andrew S. Hanks, Julie A. Kennel, and Carolyn Gunther. “Milk vending does not improve college students’ milk and calcium intakes.” Health Promotion and Practice. 2018, 19(2): 295-302. DOI: https://doi.org/10.1177/1524839917717227. Hanks, Andrew S, David R. Just, and Adam Brumberg. “Marketing Vegetables in Elementary School Cafeterias to Increase Uptake.” Pediatrics. 2016;138(2):e20151720. DOI: http://dx.doi.org/10.1542/peds.2015-1720. Kniffin, Kevin M. and Andrew S. Hanks. “Revisiting Gladwell’s Hockey Players: Influence of Relative Age Effects Upon Earning the PhD.” Cornell Higher Education Research Institute (CHERI) Working Paper 157. Contemporary Economic Policy. 2016; 34(1): 21-36. DOI: 10.1111/coep.12114. Wansink, Brian, Andrew S. Hanks, and Kirsikka Kaipainen. Slim by Design: Kitchen Counter Correlates of Obesity. Health Education and Behavior. 2016; 43(5): 552-558. DOI: 10.1177/1090198115610571. Just, David R. and Andrew S. Hanks. “The Hidden Costs of Regulation: Emotional Responses to Command and Control.” American Journal of Agricultural Economics. 2015; 97(5): 1385-1399. DOI: doi.org/10.1093/ajae/aav016. Laroche, Helena H., Christopher Ford, Kate Anderson, Xueya Cai, David R. Just, Andrew S. Hanks, and Brian Wansink (2015). “Concession Stand Makeovers: A Field Study of Serving Healthy Foods at High School Concession Stands.” Journal of Public Health. 2015; 37(1): 116-124. DOI: https://dx.doi.org/10.1093/pubmed/fdu015. Wansink, Brian, David R. Just, and Andrew S. Hanks. “A Plant to Plate Pilot: A Cold-Climate High School Garden Increased Vegetable Selection but also Waste.” Acta Paediatrica. 2015; 104: 823-826. DOI:10.1111/apa.13028. Hanks, Andrew S., David R. Just, and Brian Wansink. “Chocolate Milk Consequences: A Pilot Study Evaluating the Consequences of Banning Chocolate Milk in School Cafeterias.” PLoS One. 2014; 9(4): e91022. DOI: https://dx.doi.org/10.1371/journal.pone.0091022. Published April 2014. Hanks, Andrew S. and Kevin M. Kniffin. “Early Career PhD Salaries. The Industry Premium and Interdisciplinary Debate.” Applied Economics Letters. 2014; 21(18):1277-1282. DOI: http://dx.doi.org/10.1080/13504851.2014.922664. Published online in 2014. Hanks, Andrew S., Brian Wansink, and David R. Just. “Reliability and Accuracy of Real-Time Visualization Techniques for Measuring School Cafeteria Tray Waste: Validating the Quarter-Waste Method.” Journal of the Academy of Nutrition and Dietetics. 2014; 114(3):470-474. DOI: http://dx.doi.org/10.1016/j.jand.2013.08.013. Available online in 2013. Just, David R., Brian Wansink, Andrew S. Hanks. “Chefs Move to Schools. A Pilot Examination of How Chef-Created Dishes Can Increased School Lunch Participation and Fruit and Vegetable Intake.” Appetite. 2014; 83(1):242-247. DOI: http://dx.doi.org/10.1016/j.appet.2014.08.033. Pope, Elizabeth, Andrew S. Hanks, David R. Just, and Brian Wansink. “New Year’s Res-Illusions: Non-Compensating Cycles of Holiday Grocery Shopping. PLoS One. 2014; 9(12): e110561. DOI: https://dx.doi.org/10.1371/journal.pone.0110561. Wansink, Brian and Andrew S. Hanks. “Calorie Reductions and Within-meal Calorie Compensation in Children’s Meal Combos.” Obesity. 2014; 22(3): 630-632. DOI: 10.1002/oby.20668. Published online in 2013.